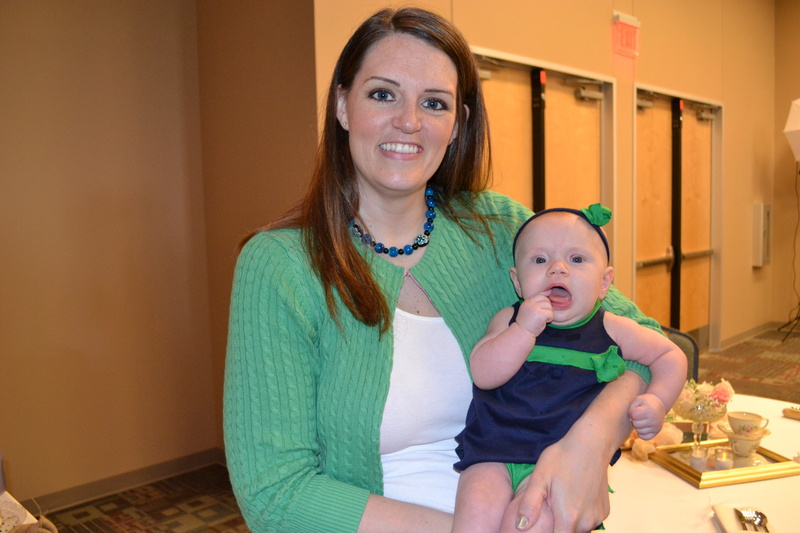 I had this sweater in the closet and hadn’t worn it in over a year, prior to being pregnant. My new rule is longer than a year (not including bun in the oven time) and it needs to go or be repurposed. Well I saw icandyhomemade had a repurposed sweater with her cute circle skirt and I thought this one from my closet would go with my new skirt. So I used this idea and made a nice top even though it was 85 degrees in March! I didn’t follow her directions exactly because “winging it” is more fun and my sweater was a bit different. 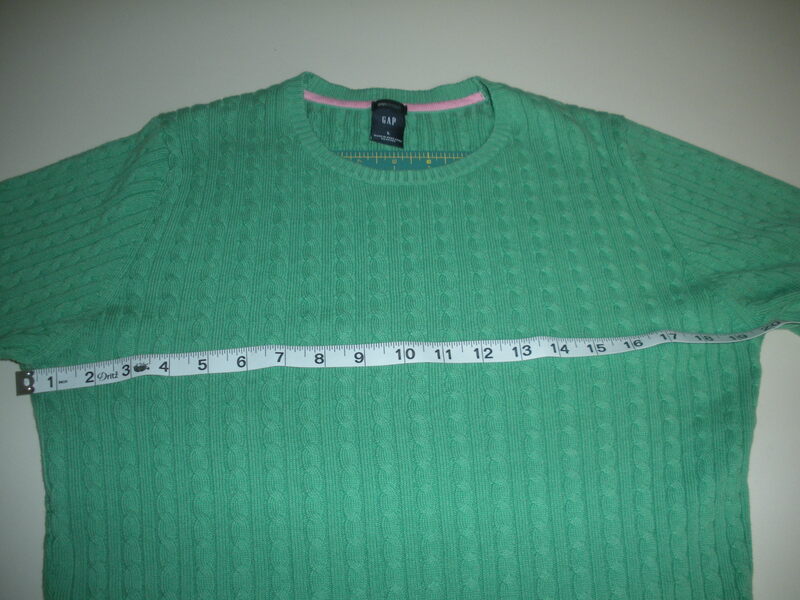 First step, I measured to find the center of the sweater. 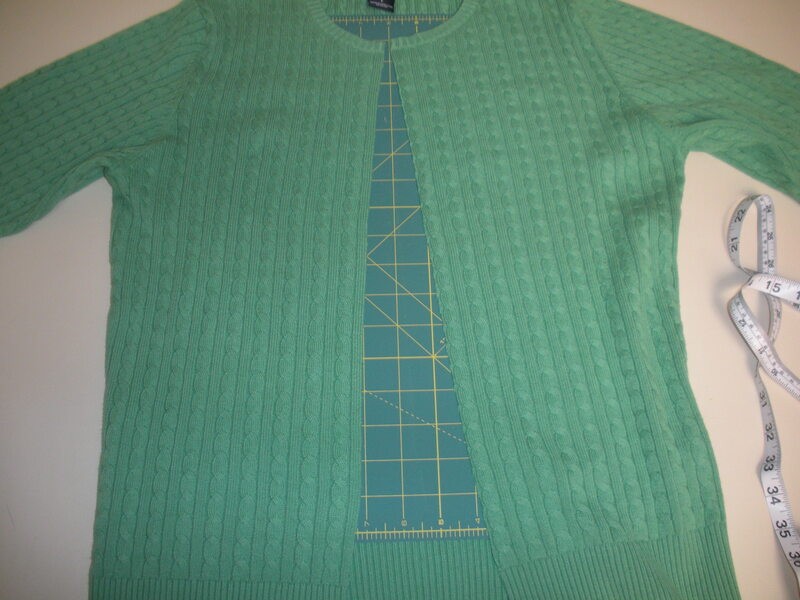 Now this sweater has ribs so it made it easy to follow along in a straight line while cutting. Next be brave and cut! I know this is scary but you will be better on the other side. Now I finished the edges with some pink bias tape. 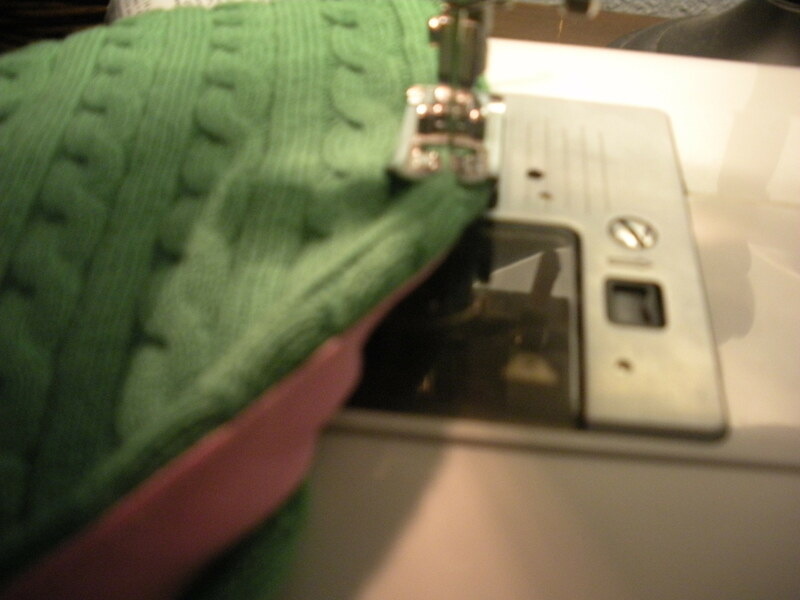 I pinned the bias tape to the wrong side (raw edge folded over) and sewed on the right side of my sweater. The ribs on the sweater helped sew a straight line. Easy right! I also added a hook and eye to the top because I prefer that look. I would love to see your re-purposed clothes. Feel free to leave a link. 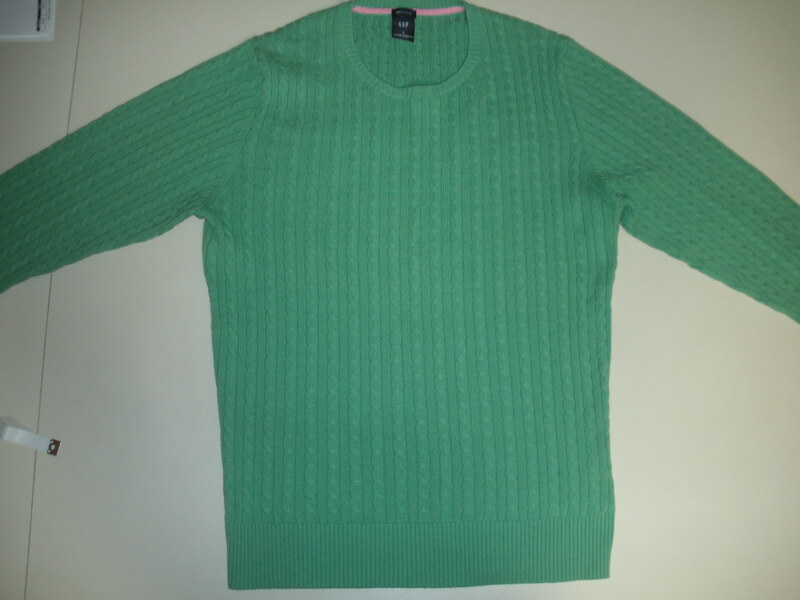 Posted in Re-Purpose, Tutorials and tagged 3/4 length sweater, green sweater, repurposed sweater, spring sweater, summer sweater, up-cycled sweater. Bookmark the permalink.